We all love to travel right? But I often worry about the cost. Not the financial expense, but to the culture, community and environment that I’m visiting. Even more so when travelling in developing countries like Cambodia, Vietnam and India where there is a begging culture. You want to help, but how do you make a worthwhile contribution with limited time, without falling into a scam and without committing yourself to long-term volunteer work. This is where community based enterprises come in. These are tourism and hospitality initiatives set up by locals and NGOs to directly give back to the local community, disadvantaged members of society or ethnic minorities. 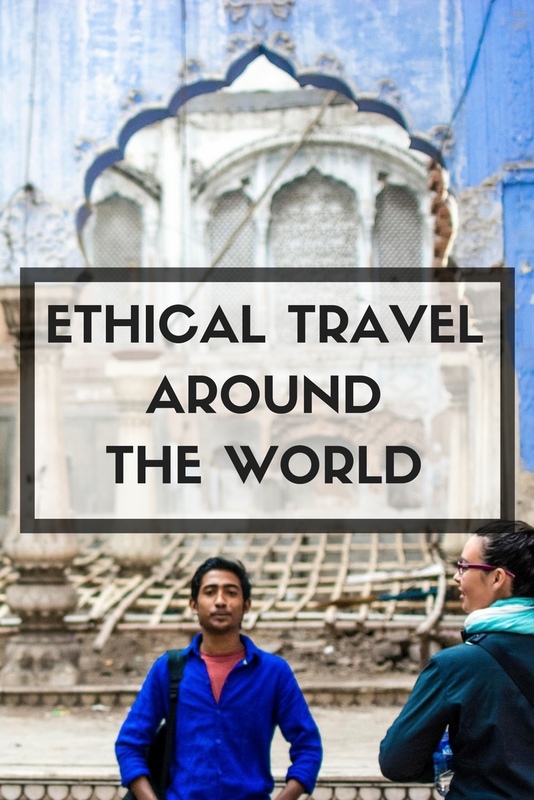 I’ve come across some fantastic projects as I’ve travelled around Asia and I’ve asked some other travel bloggers to contribute their favourites as well. Know a great community based social enterprise? Let me know and I’ll add it to the list! The Cardamom Mountains are said to be the largest remaining area of pristine rainforest in South East Asia. A pretty big claim! The people here are also some of Cambodia’s poorest. In the past they have turned to illegal logging and poaching of wildlife. In 2007 an NGO called Wildlife Alliance stepped in to help. The people who know the mountains the best are the poachers. They also happen to be the best people to lead trekking expeditions through the vast wilderness. After a few days trekking in the jungle tourists want to relax. 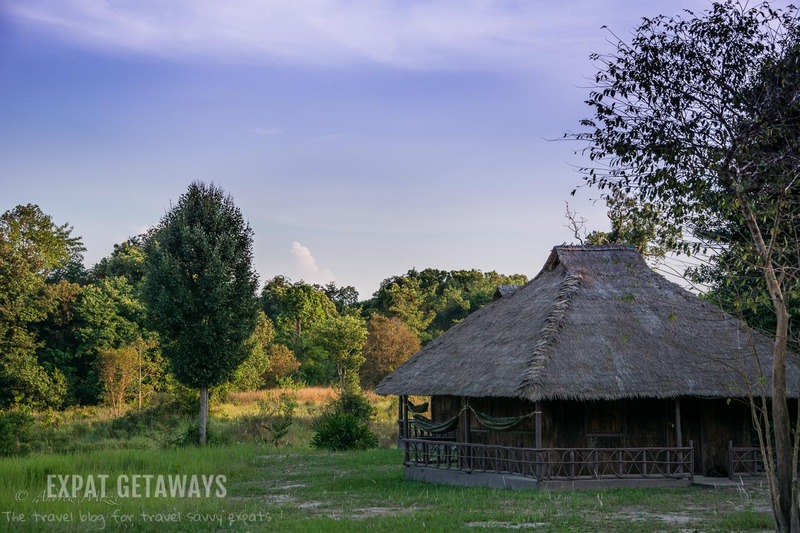 Families in the village have set up homestays, guesthouses and restaurants and offer other activities like kayaking, biking, cooking classes and river cruises. All of a sudden the villagers of Chi Phat began making a sustainable income conserving their forests instead of destroying them. Community based eco tourism in action! 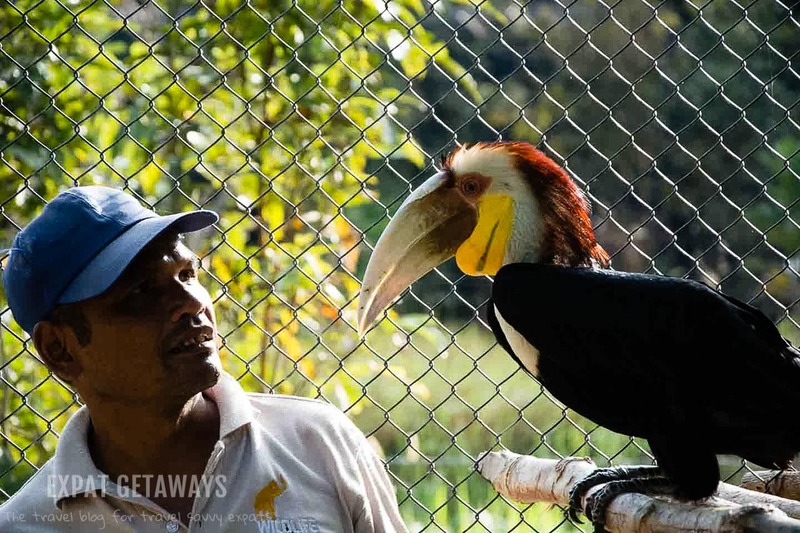 While you are there spend a night in the wonderful Koh Kong Wildlife Release Station. This is the last stop for endangered animals that have been rescued from illegal trafficking before being released back into the wild. We were lucky enough to see sun bears, pangolins (the most trafficked animal in the world), civets and hornbills on our visit. Expat Getaways visited in January 2016. 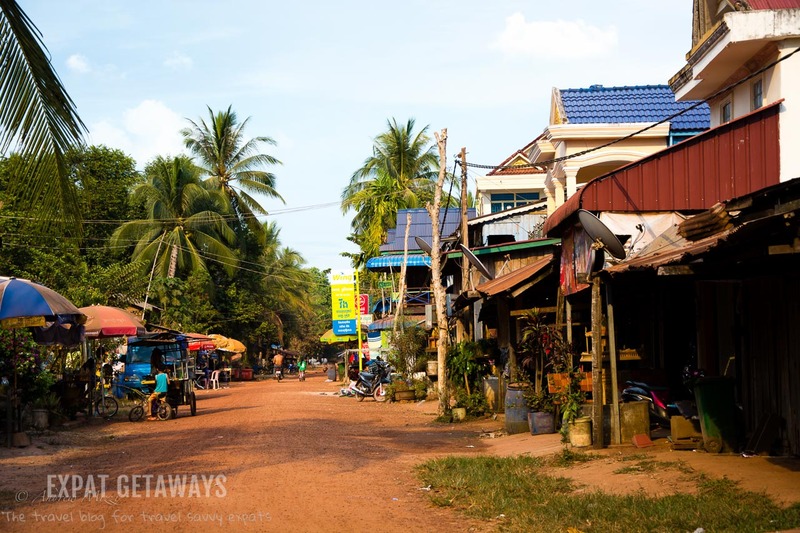 For full article and itinerary visit Sustainable Tourism in Chi Phat. 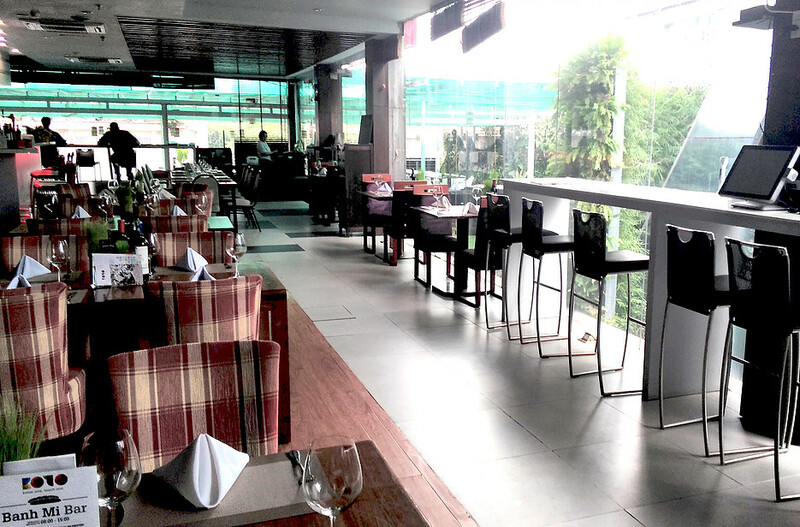 Tree Alliance has a number of fabulous restaurants in Cambodia as well as Laos and Thailand. All serve up fantastic authentic local cuisine at reasonable prices. Want to try deep fried tarantula? Romdeng in Phnom Penh is your place! Maybe you’d prefer red tree ants, beef, kaffir lime and chili stir fry with a pineapple and chili margarita to wash it down. Then Marum in Siem Reap is the one to visit. Every one of their restaurants has something on the menu to suit all tastes, whether you are adventurous or prefer to stick to something more conservative. 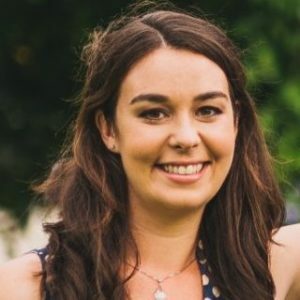 The best part – all the restaurants are training restaurants giving locals the opportunity to gain hospitality qualifications and genuine practical experience. All profits are reinvested into student training and setting up future projects. Jess has been visiting Tree Alliance Restaurants since 2011. She’s visited Friends, Romdeng, Marum and Makphet. Expat Getaways visited Marum and Friends in January 2016. Koto stands for “Know One, Teach One”. Like the Tree Alliance restaurants it is a social enterprise training at-risk and disadvantaged youth in hospitality. Here you can get fabulous local dishes and support the local community. A win for everyone! Just a few doors down from Koto is Craft Link. They are the place to go for souvenirs. Craft Link is a NGO supporting ethnic minorities, traditional villagers and disadvantaged groups. You will find all the typical souvenirs that you’ve seen in markets all over the country- silk scarves, clothing, lacquer ware and jewellry. The difference is that the items are all Fair Trade with the artisans supported through education, training and of course profits from the sale of their goods. Expat Getaways travelled to Hanoi in December 2016. For full Hanoi itinerary visit 48 Hours in Hanoi. 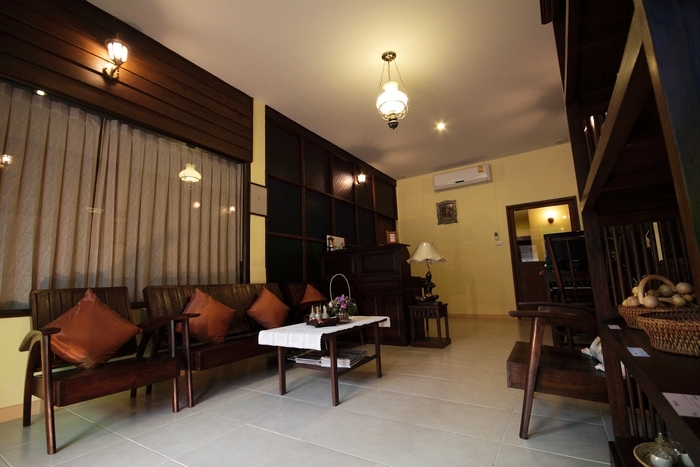 There are 5 locations throughout Chiang Mai, offering various massage and facial treatments. I dropped in for a foot massage after a long day of exploring Chiang Mai Old Town by foot. First your feet are washed and then you enter the massage room and then are shown to a bed in the massage room. If you’ve had a Thai foot massage, you know it is much more than a foot massage. They cover the entire lower leg, and for the low price of about $4 USD for an hour. The service was very professional and if I were staying longer, I likely would have stopped in every day. I highly recommend checking out Lila Thai if you are in Chiang Mai. Similar to Craft Link in Hanoi, MBoutik is a social enterprise supporting artisans in villages around Bagan. You can buy jewellry, clothing, bags and kids toys knowing that you are supporting a good cause. 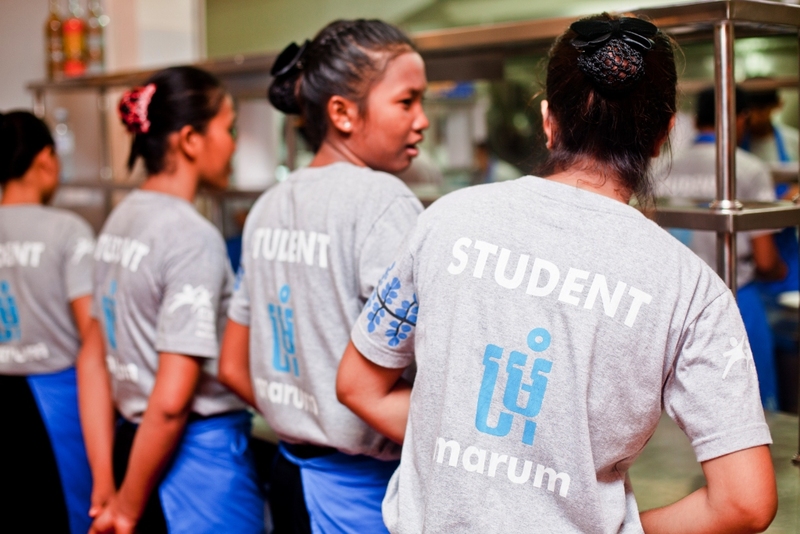 Sanon is a training restaurant for marginalised youth. With help from the folks at Tree Alliance they set up in Bagan. The food and cocktails are great and all in the name of a good cause. Students are given interview coaching and support writing a CV and then put their new skills to good use by finding employment. They are also branching out into tours! We didn’t get time to try their free guided E-Bike and Boat Tour which runs on Monday, Wednesday and Friday. If you are in the area be sure to get in touch and reserve your place. Expat Getaways visited Myanmar in January 2017. For full Myanmar itinerary visit One Week in Myanmar. One of the things I was apprehensive about on our visit to India was the poverty. I know from travelling in SE Asia how confronting that can be. The worst we had was a group of women, one heavily pregnant, surrounding our tuk tuk to beg for money. It might have worked if I hadn’t spotted them analyzing the traffic beforehand for clearly western targets. Knowing we would face situations like this I looked for a more legitimate way to give back to the community. That search led me to Street Connections, a tour company set up by an NGO to help former street kids practice their English and earn an income. Our guide spoke fantastic English and was open and honest about what it was like to grow up on the streets. We were given the opportunity to donate to the orphanage which helped him, but this was not the focus of the tour. 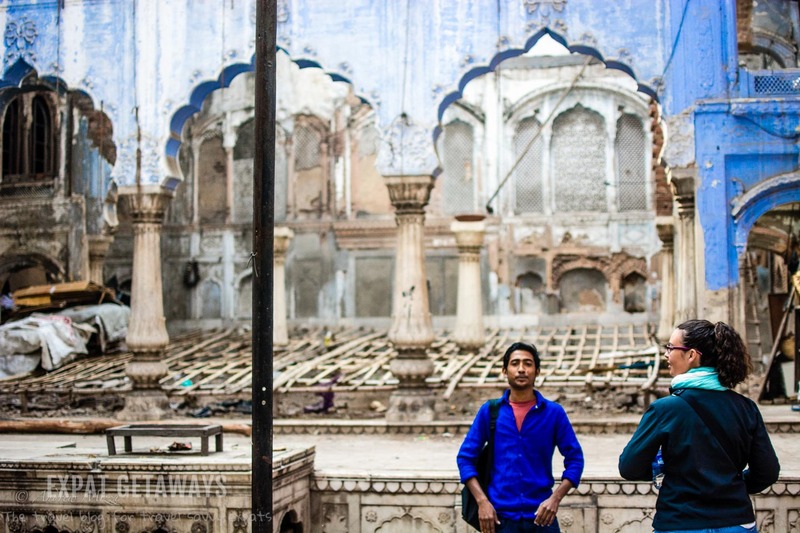 The morning was about showing us the hidden gems of Old Delhi and a glimpse into local life. 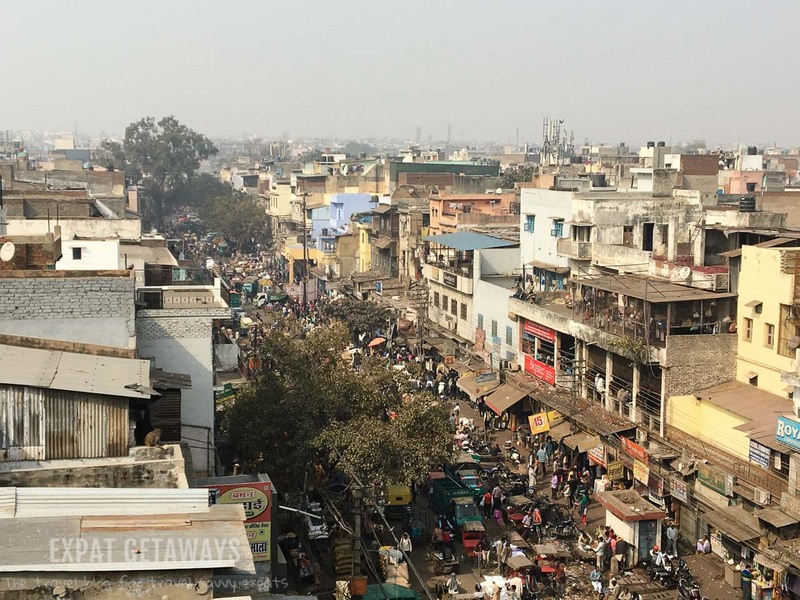 Expat Getaways visited Delhi in February 2016. For full itinerary see 5 Nights in the Golden Triangle. Seva Mandir is an excellent community based organization focusing on women empowerment, youth development, health and education using participatory methods. They have been working in Rajasthan since 1968 and are now supporting over 700 villages around Udaipur. One of these villages is Delwara where Seva Mandir is organizing heritage walks for tourists. Local guides will show you around this small town with a long and interesting history as a district and royal principality of the Mewar kingdom. The 3 hour walk is a good combination of history, temples and a look into Seva Mandir’s projects. In Delwara they run a community center and a waste collection program. In the past they also made major progress in improving the access to clean water in the village by building wells and renovating the old traditional step wells. Our guide managed to give us insight in the daily life of people in a rural town in Rajasthan. He shared with us their challenges, but also their achievements. It was a great walk and one that I can recommend to anyone visiting Rajasthan in India. Southeast Asia boasts long coastlines, hosting within it the famous Coral Triangle, a region of incredible marine biodiversity. This also means that water activities such as snorkelling and diving are a popular tourism draw. 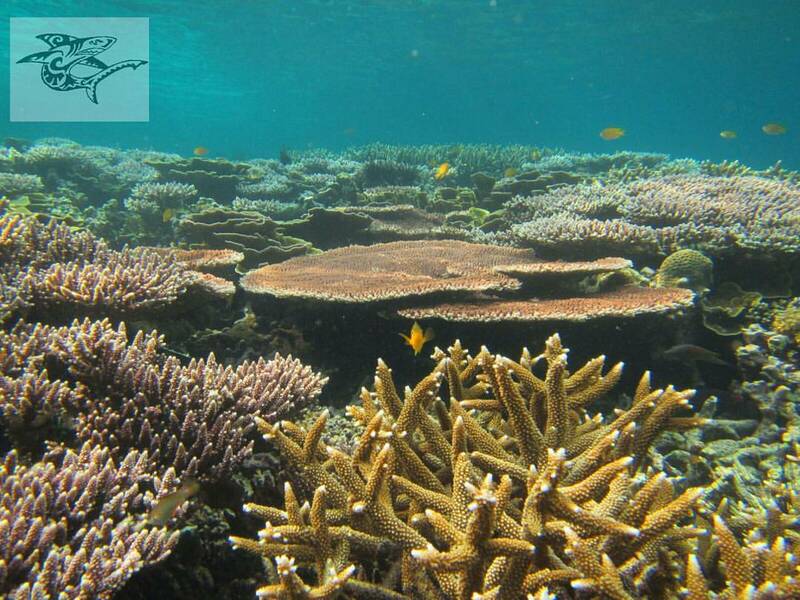 Many of the marine tourism attractions in this region fall within some sort of marine protection zone. How do you know if you’re holidaying with a responsible operator? This logo means that the dive operator has been trained and assessed on sustainable tourism practices and coral reef conservation, by either the government agency or its partnering NGO. For Malaysian Marine Parks, Reef Check Malaysia manages the training and renewal in partnership with the Marine Parks Authority (Sabah Parks, for marine parks in Sabah, Borneo). Many dive centres across Malaysia are Green Fins certified. A list is maintained at the Green Fins website (not just for Malaysia) which is handy for responsible travel planning. Green Fins operators also offer a better tourism experience, as they are frequently interested and more knowledgeable about the nature attraction! The assessment is valid for one year. So do ask if the centre’s certification is live (re-assessment within the last year). Eco-Friendly Snorkel Guide (ESFG) is an initiative by Marine Parks and Reef Check Malaysia to train and certify local snorkel guides with the knowledge and skills to conduct snorkel tours in an environmentally responsible manner. The linked Facebook sites maintain a list of guides on the islands holding ESFG certification (note: list is upcoming in the case of Mantanani, as the first training is in progress). Guides are re-assessed annually. Dive with a Green Fins certified operator. Ask for an ESFG snorkel guide. I recommend that you ask even if you’re holidaying on an island that isn’t a Marine Park. This would help communicate to tourism providers your desire for the certification. If your hotel does not have an ESFG guide on staff, consider hiring an ESFG certified guide individually, through communicating with the island community groups (see above). Ask excursion operators if certifications are current. Green Fins dive centres will give you a pre-dive environmental briefing. If you had concerns during an excursion carried out by certified operators, please email feedback to Reef Check wecare@reefcheck.org.my – clear, specific feedback is valuable! This is especially important for the more community-oriented ESFG initiative. Pack For A Purpose is an initiative that allows travellers to make an impact while travelling by using a small amount of space in their luggage to pack supplies that can be donated to community projects around the world. The site lists a number of organisations, in hundreds of cities worldwide, where you can drop off your donations that will go to people in need. Simply select a destination, choose an initiative and browse through the supplies the project requires. When you get to the destination you can drop off the goods at partnering businesses, which are usually hotels or tour companies. The site will also let you know if it is possible for the supplies to be purchased locally, meaning your money is being invested in the local economy. Since 2010 Pack for a Purpose travellers have taken over 73,323 kgs (161,310 lbs) of supplies, meeting essential needs in over 60 countries. Social Enterprise hotels – in their purest form – are run on a not-for-profit basis, where revenue generated from the hotel is given back to charitable endeavors and programs which help the local community. 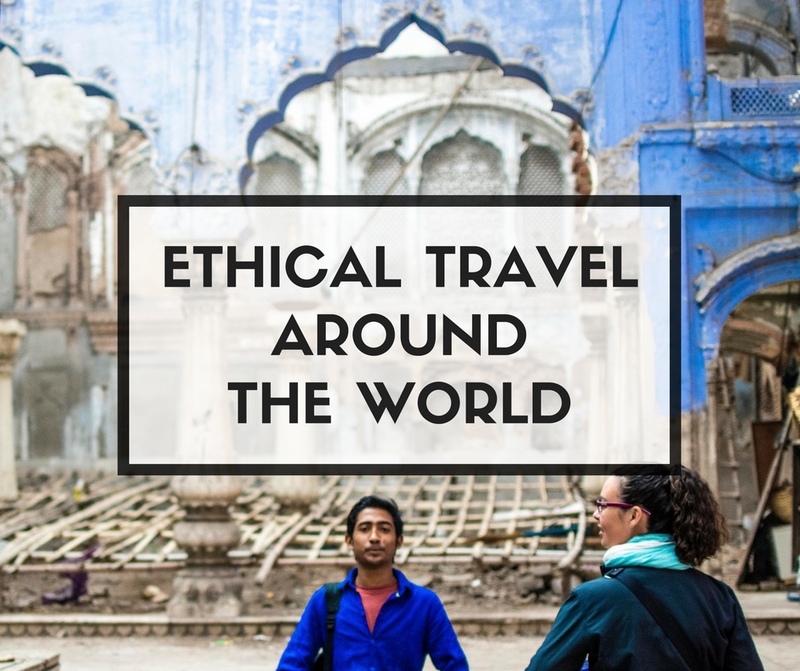 I have listed every one that I can find across 6 continents in my post Social Enterprise Hotels and Where To Find Them – and let you know where your money goes when you book with them. Whilst most of these hotels also have an eco-focus, they are all primarily socially responsible – offering in house training programs for local youth and unemployed members of society; they fund schools and medical facilities in developing countries; fund programs that fight extreme poverty and have community programs which help the homeless and abused women – just to name a few! They put the focus on the local community, often forgotten or unnoticed by tourists and travelers, and put tourism dollars to good use.